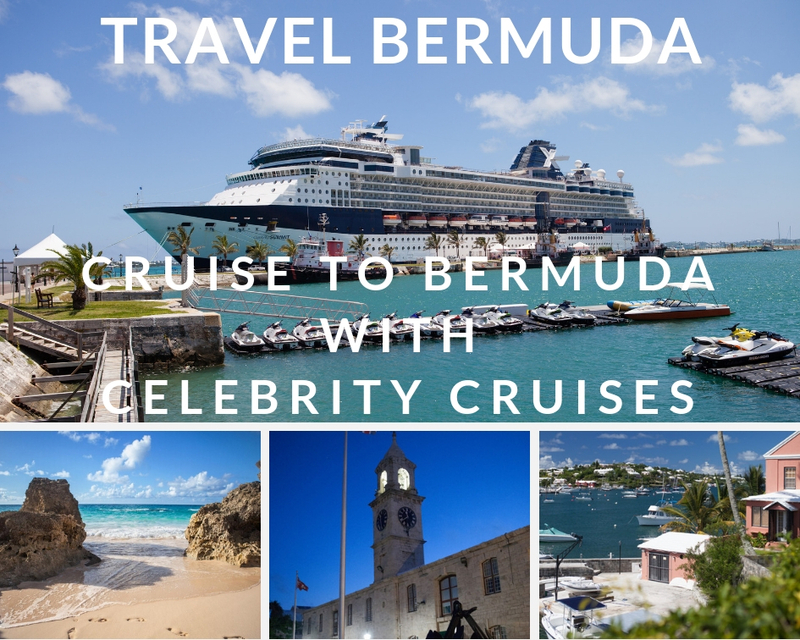 Cruise to Bermuda with Celebrity Cruises! With over 150 ocean cruise days on various cruise lines under out belt, WJ will finally take our first cruise with Celebrity Cruises in April 2019! Yes, we’re super excited to experience what the Celebrity Cruises Solstice-class of ships offers during a 13-night transatlantic crossing aboard Celebrity Silhouette. 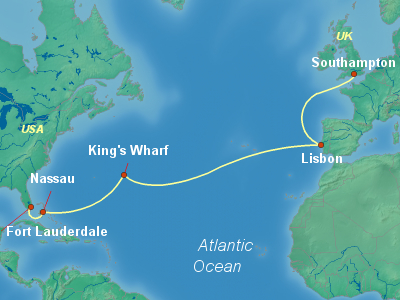 But wait, it gets better… Silhouette will make an overnight stop in Bermuda as part of the itinerary from Fort Lauderdale, Florida to Southampton, England. That’s double the thrill for us. 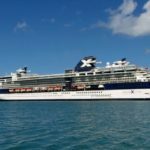 Celebrity Cruises Silhouette Stops in Bermuda on April 2019 Transatlantic Cruise. 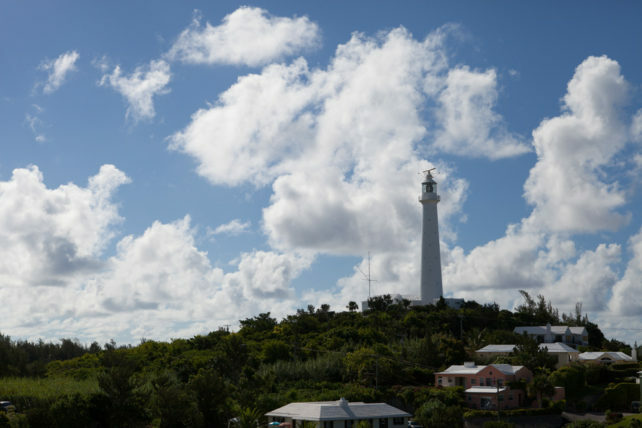 Why is WJ so excited that Bermuda is on this Celebrity Cruises transatlantic itinerary? Well, for both Viv and Jill, Bermuda has been on the travel bucket list for many years – there’s something terribly appealing about “British Tropical Island”. So as soon as we saw Silhouette would make a stop at the British Overseas Territory in the North Atlantic Ocean, it was a no brainer to make this booking. Plus, with shipwrecks, history, culture, museums, beaches, golf and much more, we know we’ll be spoiled for choice with activities to narrowdown. The island territory of Bermuda is only 21 square miles, the capital is Hamilton, they have their own constitution, own government, and a population of approximately 64,000. The climate is semi-tropical and mild as the Gulf Stream helps keeps the climate temperate. 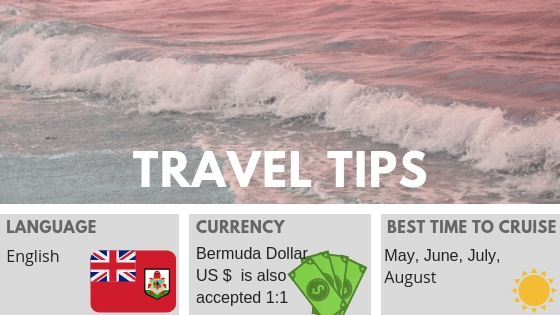 Legal currency on the island is the Bermuda dollar which trades at the same rate as the U.S. Dollar, plus it uses the same symbol ($). 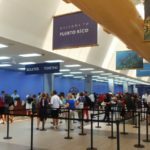 Cruise passengers from the States will find it easy to just use their U.S. Dollars – no need to exchange currencies. 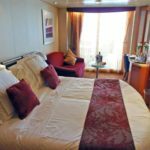 Cruisers looking to book regular roundtrip itineraries from the United States can book Celebrity Summit – she sails round trip from Cape Liberty, New Jersey to Bermuda with a variety of interesting itineraries of various lengths. 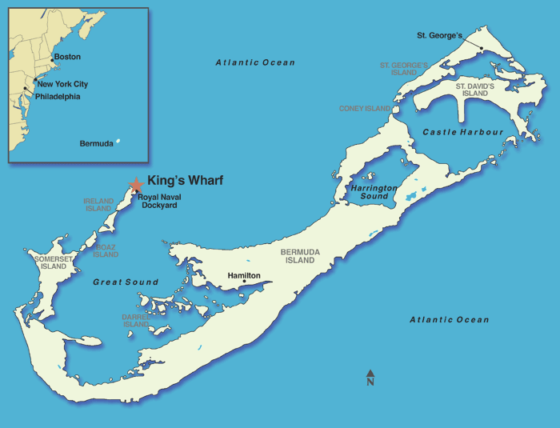 The distance from Cape Liberty to Bermuda is approximately 673 nautical miles and will typically have two days at sea before reaching King’s Wharf. As a point of reference, Bermuda is 562 nautical miles east of North Carolina. 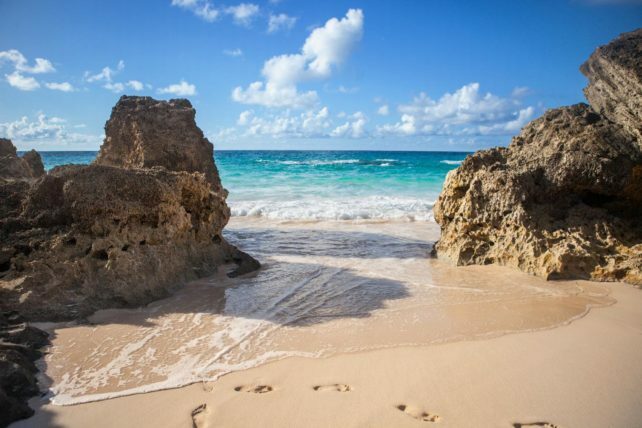 The pink sand beaches Bermuda is known for are definitely calling to us – we can’t wait to sink our toes in the silky soft pink sand and feel the warmth of the turquoise ocean. From what we’re told, Horseshoe Bay has one of the world’s prettiest beaches – so that’s definitely on our list to visit. 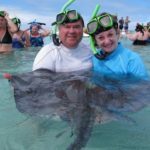 And, we hear the snorkeling in the deep blue Atlantic Ocean should not be missed – although the water might still be a tad on the chilly side during our mid-April visit. 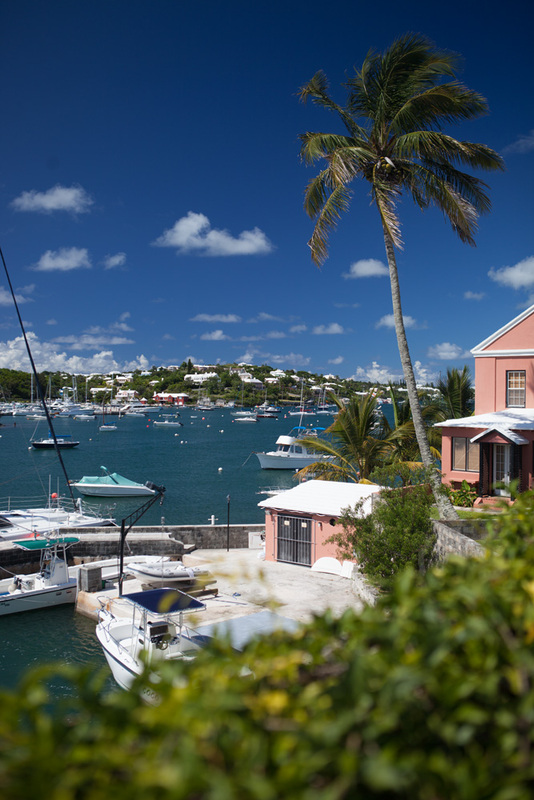 There are plenty of options for getting around Bermuda – public pink bus, taxis, water taxis/ferries, tours, multiple shore excursions with the ship, and renting a scooter or car (probably only a good idea if you’re comfortable driving on the left side of the road). For those staying a few days, the best deal would be to buy a 3-day ferry and bus pass (tickets available for purchase right at the dock). It’s only about a 20-minute ferry ride from the port to Hamilton or 45-minute ferry ride to St. George (a UNESCO World Heritage Site). King’s Wharf is where Celebrity’s ships dock at the Royal Naval Dockyard – at the West End of Bermuda in Dockyard Parish. There are shops and a museum at the port, and this is where it’s possible to take a water taxi or bus over to Hamilton. 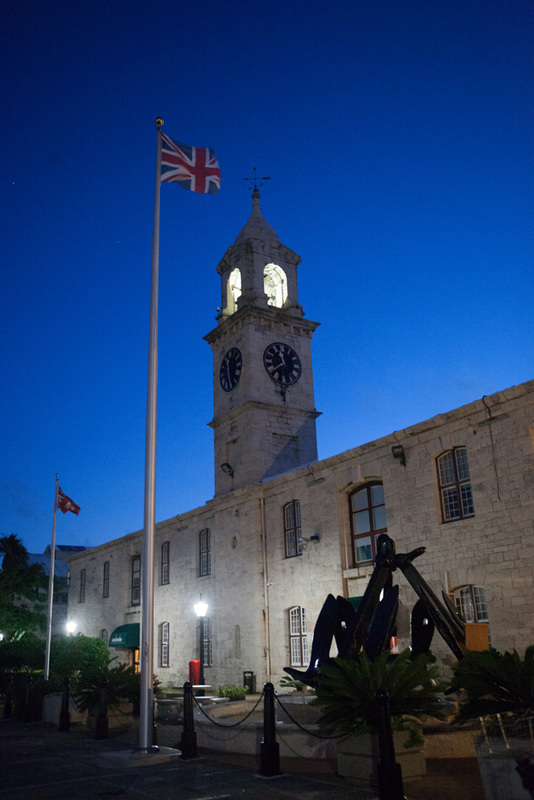 For those not wanting to venture too far from the ship, the large area where the ships dock offers a taste of Bermuda with restaurants, an arts center, craft market, National Museum of Bermuda, Vintage Transport Museum, shopping mall, and tourist information center. You can even get the most important thing any cruise port can offer… Free WiFi! Celebrity Silhouette first set sail in July 2011 – the fourth of five Solstice-class ships in Celebrity’s fleet. 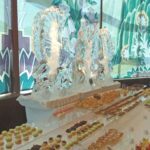 Michelle Morgan, president and CEO of Signature Travel Network, is the Godmother of this beautiful upscale 2,886-passenger, 1500-crew, 122,400-ton, cruise ship. 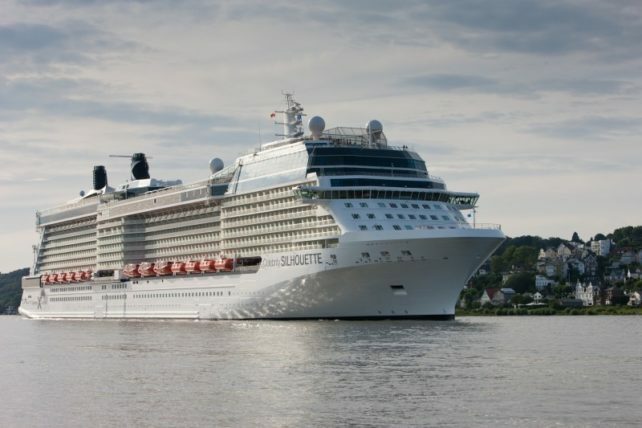 Sailing on Silhouette for a transatlantic repositioning cruise with plenty of sea days is going to give us plenty of opportunity to really experience Celebrity Cruises’ service, dining options, entertainment and activities. 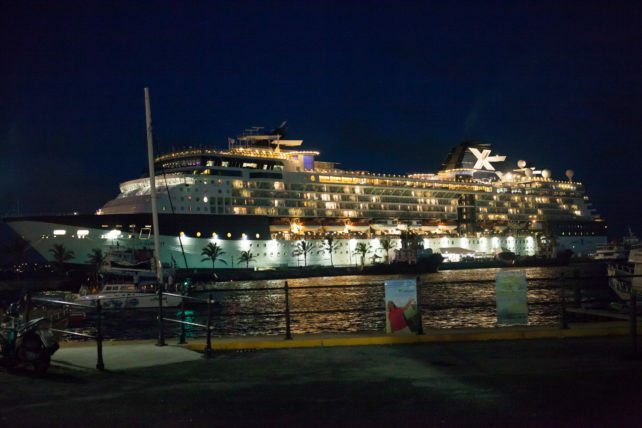 Celebrity Summit in Bermuda at the Royal Dockyard. Our transatlantic cruise spends about 24 hours including an overnight in Bermuda, and is only one of the many exciting itineraries to Bermuda that is offered by Celebrity Cruises. 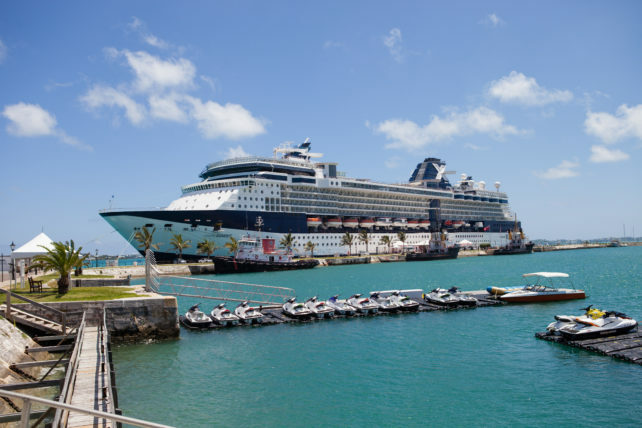 During 2019 and 2020 Celebrity Summit will sail a number of 7-to-11-night itineraries that include Bermuda with longer stays (3 days docked at King’s Wharf), and sail round trip from Cape Liberty, New Jersey. WJ will definitely be taking a cruise to Bermuda on Celebrity Summit, especially as she’s about to undergo a $77 million dollar refurbishment in February 2019.